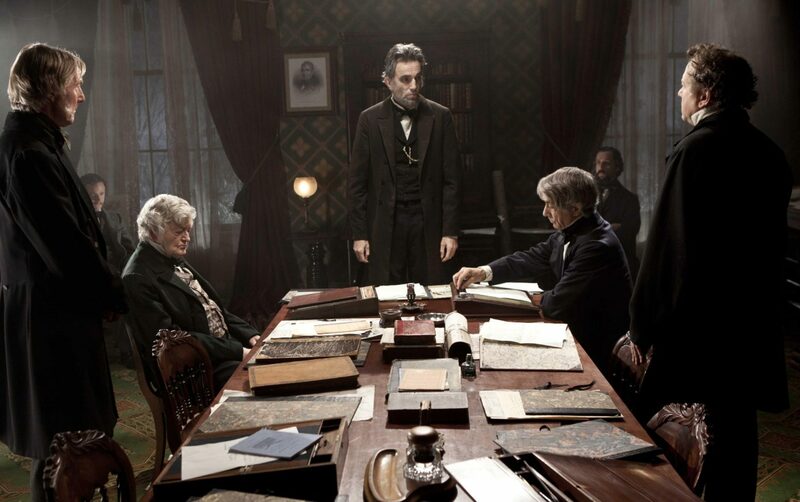 With the words above, Steven Spielberg’s Abraham Lincoln faces his cabinet down and reminds them of the challenge facing his bleeding nation. He insists that they take a stand before the world, and fight on to abolish and criminalise slavery once and for all. Whether the real Lincoln said these exact words we will never know, but that they reflect the challenge of the moment and the certainty of his conviction is indisputable. Lincoln came to the office of president in 1861 and, as he assumed the power of the office, his country went to war. For Lincoln, no price would be too high to achieve the sacred goal of abolition and criminalisation of slavery. The ownership of one human being by another was an idea whose time had passed. Allowing all the rights of one man to be exercised and abrogated by another man was a crime that he felt dehumanised all mankind. History has shown him not just to have been right, but it has bestowed upon him the title “great emancipator” – the man who gave his life so that all men and women could have the right to theirs. In Ireland, 1861 saw another step in the recognition of the need to defend the most vulnerable – children yet to be born. That year saw the introduction of the Offences Against the Person Act, which criminalised the deliberate targeting of unborn children and conferred upon that most vulnerable part of humanity the right to due process and protection under the law. No human, the act said, could have his or her rights determined solely by another. No person has ownership of another’s right to exist as a free person upon the earth, and no individual may be killed purely for the convenience of another. It doesn’t require much imagination to recall some of the ugliest episodes of death and injustice the world has ever witnessed. For reasons of race, skin colour, religion, political and economic affiliation and even gender or stage of development, unfortunate members of the human race have been vilified, made subject to and declared the property of the few, placed beyond the protection of laws, made outcasts, stripped of the dignity of individual identity and humanity itself, and even deprived of the legal right to life. The march of civilisation has been all about ensuring that such atrocities never happen again – that all mankind, male and female, are created equal, with certain rights, liberties and protection under the law. Of course, the only way to guarantee that the law protects all individual members of the human species equally, is that at a minimum, from the moment that a member can be identified as such, the law insures immunity from deliberate bodily destruction. This moment of identity is unequivocally known today as conception (as indeed the word itself suggests), when the DNA of a new member of the human species arises. It is scientifically indisputable that the DNA discovered here by science is that of a unique individual distinct from their biological mother, and that this DNA is the unique and irreplicable identifier of a unique member of our species. So the question is not whether we know when the human individual is first created (this is unequivocally proven by science), but rather whether an individual’s right to life can be made subject to another and one individual human can be fully owned by another to the point where their very life is subject only to the whims of another. None of us are created in the fullness of our potential, but science has shown us that human life is a journey, not a static moment. Our potential is gifted us at our conception – our appearance, talents and very fingerprints are hardcoded, and the rest is up to us. We are all conceived with the destiny to be born, grow, mature, slowly fade and die. The deliberate and targeted interruption of this process at any point is the ending of a single, unique, never-to-be-replaced human existence, and is the most base form of discrimination. That is why we make killing another human the most serious of all the crimes. Lincoln recognised that we can never be free when we take one life and give dominion over it to another, for doing so devalues the existence of all of us. Once we declare that one individual may be killed purely because of the circumstances of their humanity, then we have devalued the lives of all who share those circumstances. This is why no country has ever had “limited” abortion. It is simply a matter of logic – if the rights of one may be removed, then the rights of all may be removed. We cannot choose “good” unborn children to protect with our laws and “bad” unborn children who may be expunged by withdrawal of the shield of law. All must be protected, or none. Ireland remains one of the few remaining lights in the world that might inspire others to pause for thought. To allow the world to contemplate the tens of millions they are missing – those future scientists, entrepreneurs, teachers, artists, Olympians, taxpayers, mothers, fathers, people with special needs, who were brought into existence, and snuffed out because the law said they were owned by another person who could end their unique existence on a whim. So, in the words of Spielberg’s incarnation of the great abolitionist, we have indeed “stepped upon the world’s stage now – the fate of human dignity is in our hands”. It is time for all of us to stand up and be counted. Posterity and millions yet to be born will thank us for it.